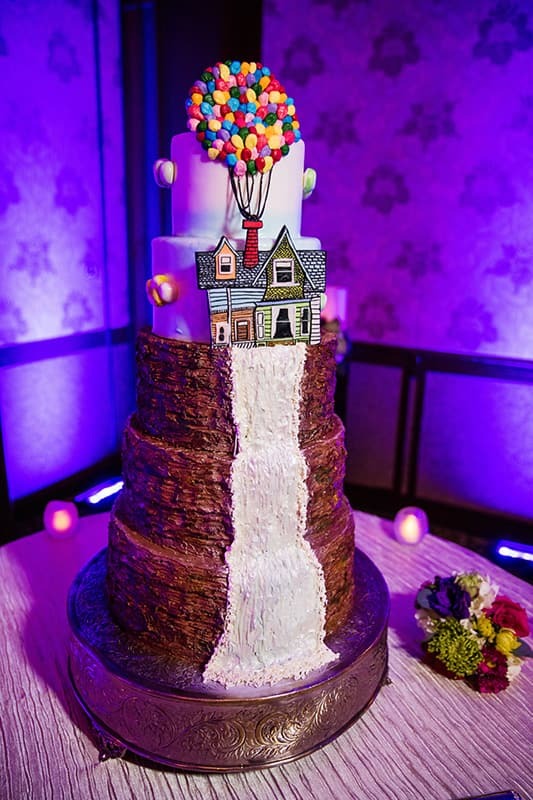 This Up inspired wedding cake brings the adventure of the film to life. Carl and Ellie's colorful home sits atop the picturesque Paradise Falls, which serves as the backdrop for part of the movie. 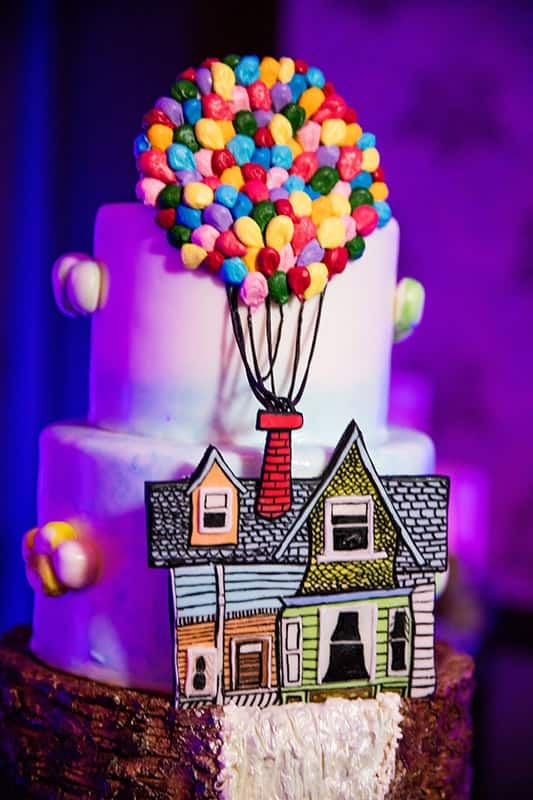 The bright balloons float above and instantly catch your eye. 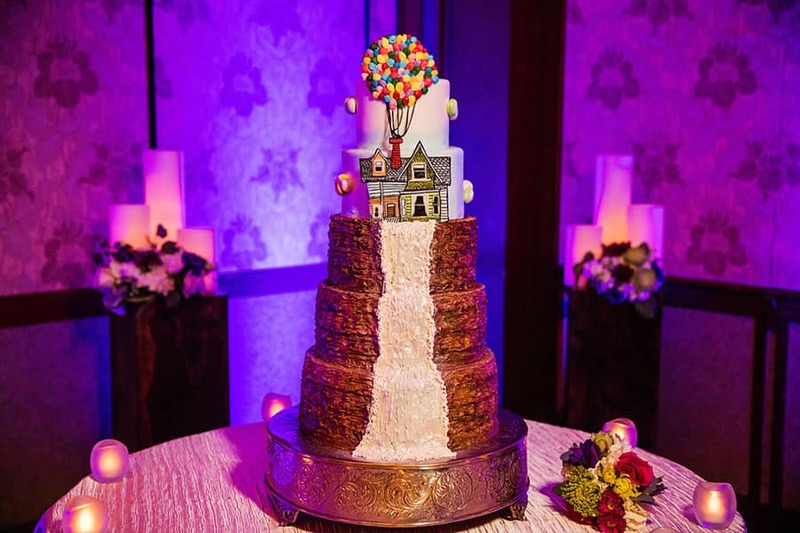 This five-tier cake is worthy of any adventurer, big or small, and the perfect dessert for newlyweds embarking on their own happily ever after.